To register with us, click the button above to download our registration form to complete, or come to our Reception and ask for one. We normally complete the registration process within 24 hours of the form being completed. Click the link opposite for more information on registering with Monks Park Surgery. You can book an appointment by phoning the surgery on 01179693106 or online via Patient Access. Click the link opposite for more information on our appointments. Home visits are for patients who are normally housebound and never leave their house. Please only request a home visit if you (or the housebound person you are calling on behalf of) is unwell. Please try to call us before 10am to request a visit. Click the link opposite for more information on home visits. We don't usually take prescription requests over the phone. You can request a repeat prescription by visiting the surgery, by post, through your chemist or via online access. Click the link opposite for more information on how to order your repeat medication. Please click the link opposite for more information on doctors fitnotes. Please phone our Reception (Monday-Friday) after 11am to obtain test results. Please leave at least 5 days from the date of your test before contacting us. Click the link opposite for more information on test results. Patient OnlineAccess is a nationwide service, providing online services for patients of GP surgeries. It is part of Patient.co.uk which provides health information and advice to both patients and health professionals. You can book and cancel appointments, order repeat medication, update your details and help us to keep your clinical information up to date. 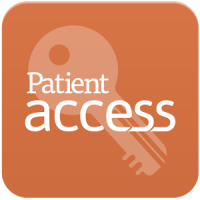 Click the link opposite for more information on patient online access. When the surgery is closed please dial 111 for health advice and to link to the out of hours service. 111 is available for general health queries, and advice 24/7. During evenings and weekends they will direct you to the Out of Hours service, which is run by BRISDOC locally. Click the link opposite for more details of what to do when we're closed. If you would like to tell us that you are happy or unhappy with the service that we provide, do please let us know by telephone or in writing. Please click the link opposite for further information on our compliments and complaints process. Although we try to avoid running late for appointments, sometimes it can't be helped. Click the link opposite for more information on why this sometimes happens.